He Spent His Honeymoon in Jail—HBO Put Him in a Movie! By relying on Marty Rathbun as one of its principal sources for its Church of Scientology film “Going Clear,” produced by Lawrence Wright and Alex Gibney, HBO has created a recipe for disaster. 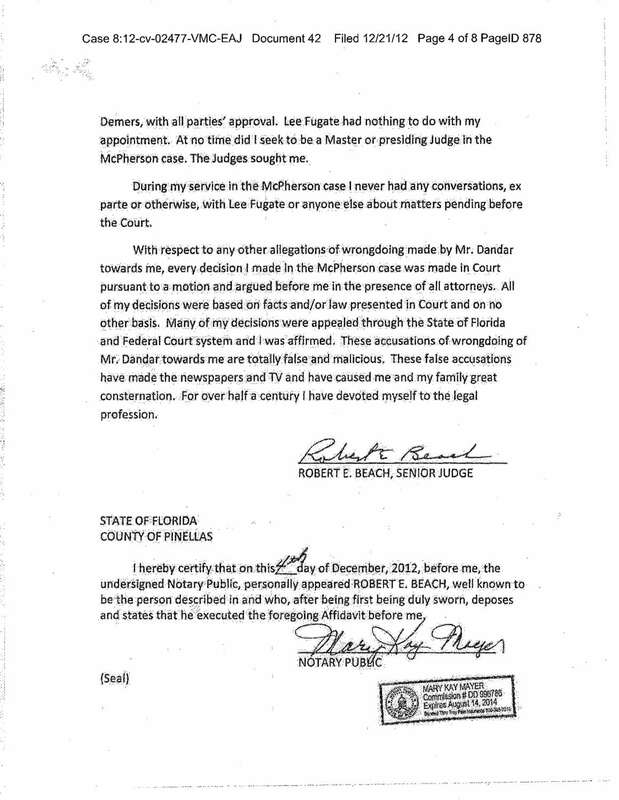 Rathbun is an admitted liar, as well as a self-confessed suborner of perjury and obstructer of justice. Moreover, he is a self-proclaimed leader of an admittedly failed “independent” experiment who at one point had delusions of seizing control of the Church. 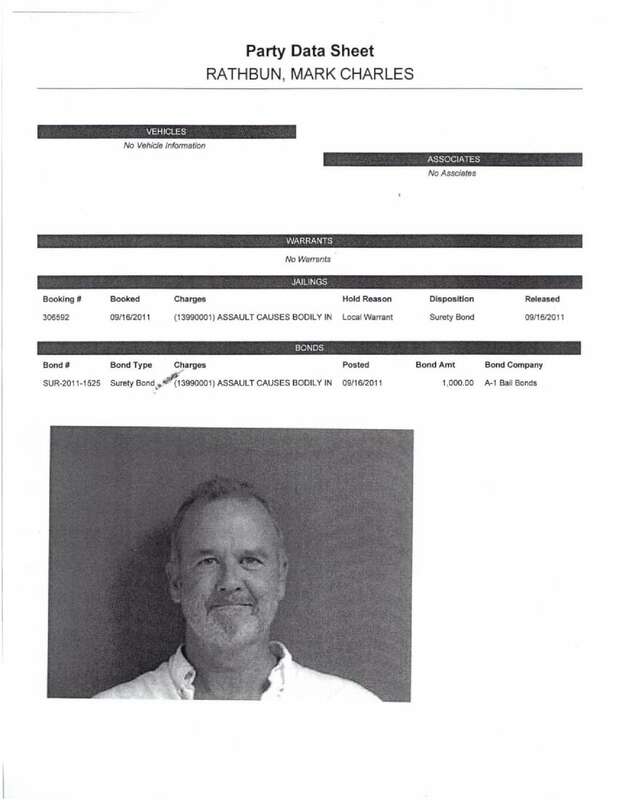 Expelled from the Church 10 years ago, Rathbun is a lunatic with a history of psychological problems, arrests and admitted criminal acts. 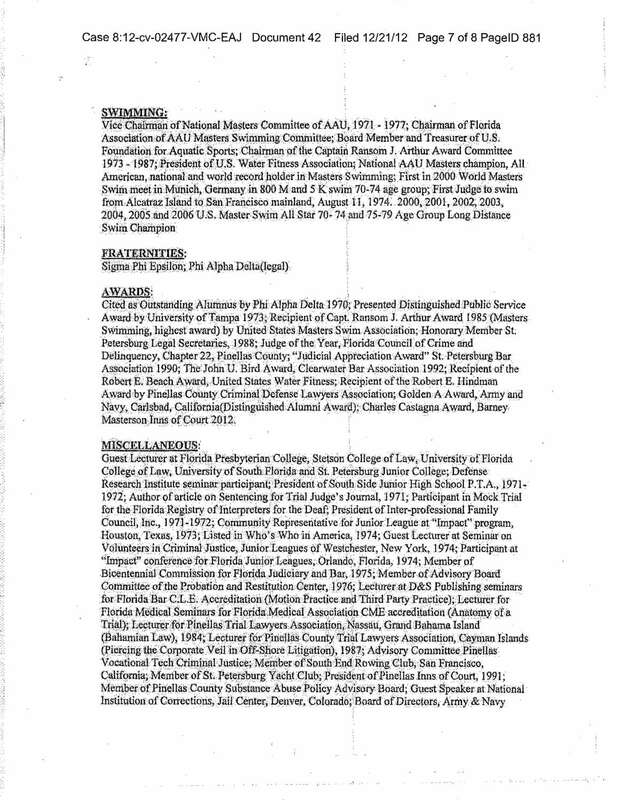 His madness and reckless disregard for authority and for the truth manifested itself when he accused a highly respected state judge in Florida of being on the take and the director of the FBI of being a “punk.” Now he boasts of his featured role in Alex Gibney’s HBO film (International Business Times, December 15, 2014). The campaign against the Church and its leader that Gibney, Wright and now HBO have bought into starts with Rathbun, who is at the center of a small web of disgruntled ex-Scientologists bitter at having been kicked out of the Church. 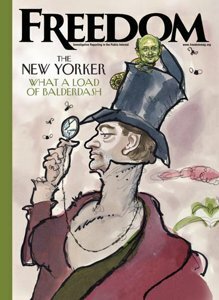 Rathbun is a wannabe guru who after being expelled by the Church was silent for five years, burning through his inheritance. Then, in 2009, he abruptly focused on a new moneymaking scheme with his “independent” movement, recruiting a handful of other expelled zealots still bitter from having been kicked out of the Church for malfeasance, and anointing himself their leader. The members of his “posse” include other Wright and Gibney sources: Mike Rinder, Paul Haggis, Jason Beghe, Marc Headley, Tom DeVocht and Jesse Prince. This handful of obsessed self-promoters, nearly all of them gone a decade or more from the Church, repeatedly make apocalyptic predictions about the Church and claim membership is shrinking, even as it continues expanding globally at its fastest pace ever. 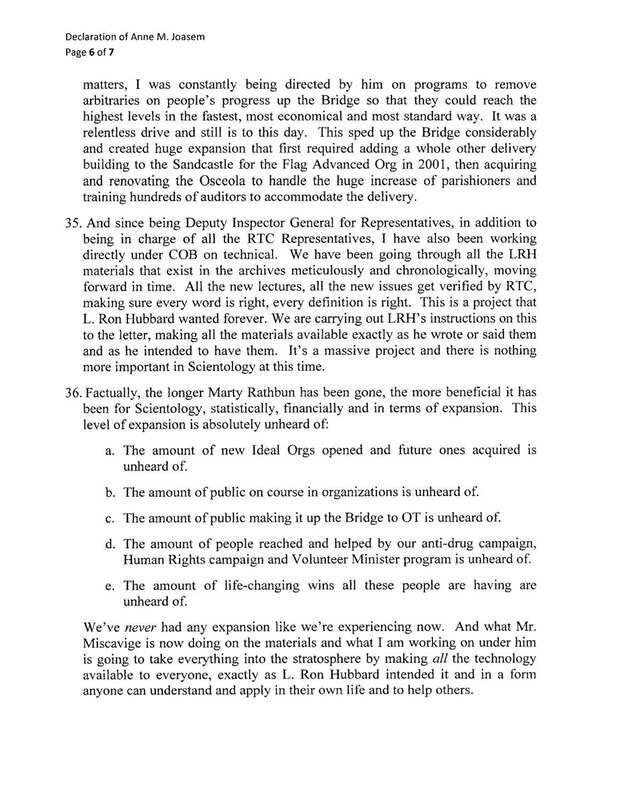 This shows the complete disconnect between reality and what Rathbun’s fringe, troubled group has claimed is taking place. The reality is, the Church is growing without them. Some have been gone from the Church for 30 years and longer. Using them as “experts” is analogous to interviewing a handful of priests seething at having been excommunicated years or decades ago for sexual abuse, and positioning them as prestigious and knowledgeable on their religion and its hierarchy. Rathbun and his “posse” have no clue about what is happening in the Church. Their own “independent” Church already collapsed and now Rathbun is a fervent anti-Scientologist, against the religion altogether. With an inflated view of himself, Rathbun’s initial delusional, grandiose goal was to “save” the Church while attacking its leader. Then he proclaimed he was the leader of a new “independent” experiment. Part of his moneymaking “counseling” scheme, he exaggerated his former role with the Church. When that failed, he began attacking anyone and everyone in the Church, especially well-known parishioners, while his wife filed a frivolous lawsuit against the Church seeking millions. 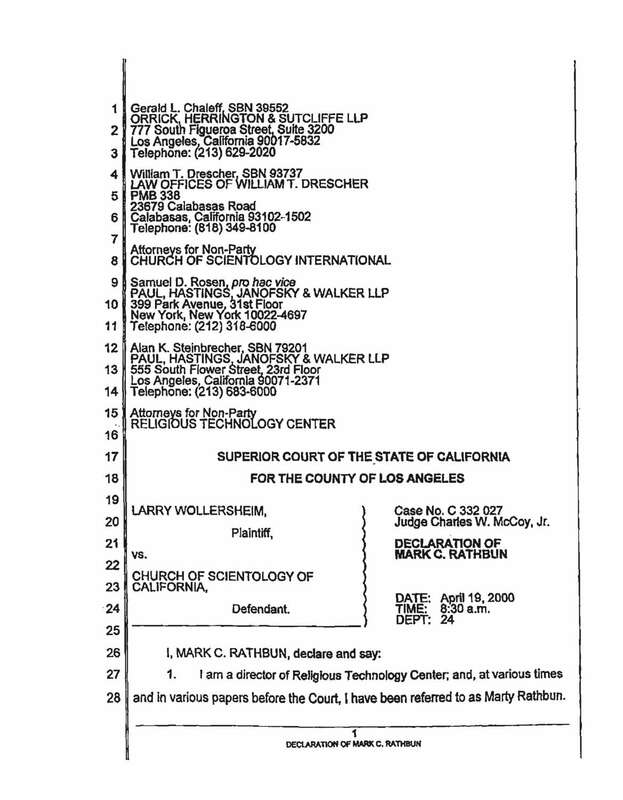 Now that he has miserably failed to extract monies from his “independent” experiment, Rathbun’s anti-Scientology agenda against the religion, L. Ron Hubbard and its ecclesiastical leader has been laid bare for all to see. These damning admissions of animus are not surprising to the Church. It was evident from the outset that Rathbun was a bitter apostate motivated by greed and engaged in a moneymaking scheme. What he currently concedes is exactly what the Church said about Rathbun when he began his “con” by professing that he “loved Scientology” and wanted to “save” the Church. The reality is the man is nothing but a liar and a fraud. It is important to connect the dots regarding Rathbun. 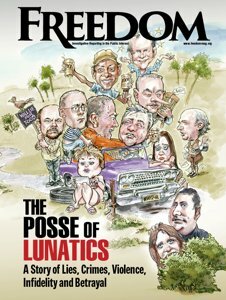 Virtually all of the allegations, myths, invented stories and lies about Scientology that have circulated in the media and been swallowed hook, line and sinker by HBO producer Lawrence Wright—including those spat out by Paul Haggis, the “donkey” for Wright’s book—originate with Rathbun. From the start, his motive and the posse’s was greed, with their primary strategy to squeeze money from the Church and deflect attention from their own actions that had caused their expulsion. Rathbun was removed for creating a multimillion-dollar legal fiasco for the Church by, among other things, coaxing witnesses to lie and destroying evidence. 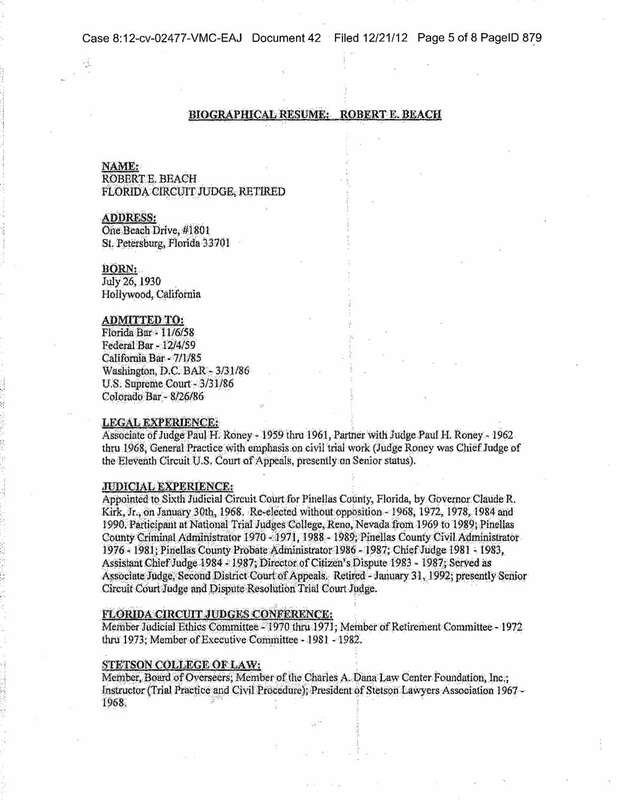 His actions triggered the only indictment ever issued against a church in the state of Florida, and caused the ecclesiastical leader to be dragged into a civil lawsuit where he was targeted for the conduct of Rathbun and his cohorts. While the Church and its leader were vindicated, Rathbun put the Church in severe jeopardy and recklessly caused harm to many. That’s why the leader took action to remove him, something Rathbun has never refuted. While working for the Church, Rathbun bullied and assaulted colleagues, including nearly beating to death fellow HBO source Mike Rinder. 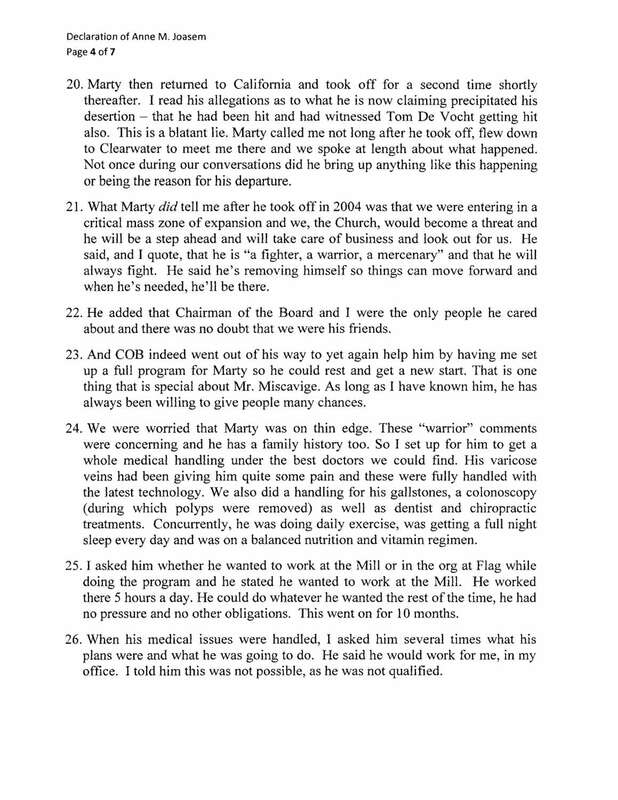 An investigation by the Church into Rathbun’s conduct found that he had bullied no fewer than 20 of his colleagues. This information is supported by sworn declarations and Rathbun admitted these actions to the media. His vitriol is not limited to the Church. Rathbun called former FBI Director Robert Mueller a “punk” in one of his rambling Internet postings. 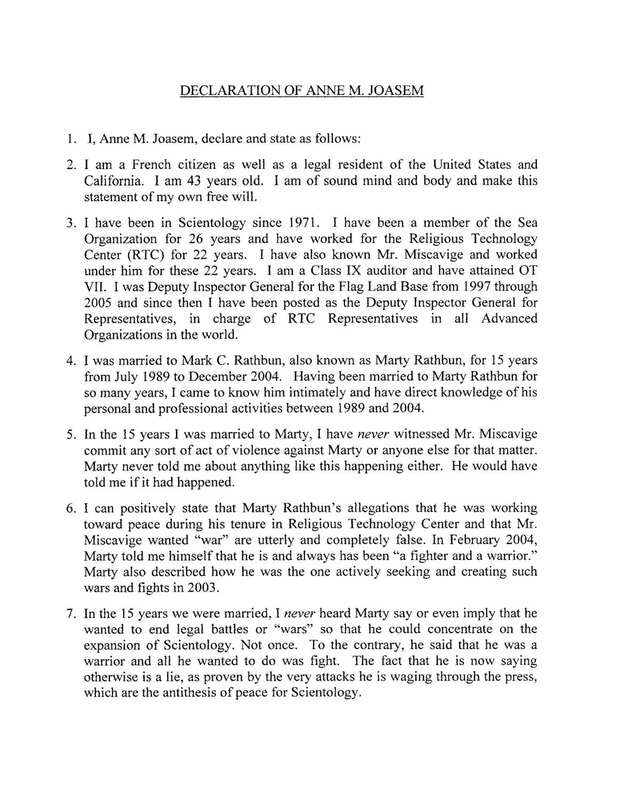 Rathbun had a major breakdown in 1993 and was granted a two-year sabbatical which he used for frolicking on beaches and enjoying comfortable accommodations in a Scientology religious retreat aboard a cruise ship before returning, all arranged for him by the leader of the religion. Years later, he received $85,000 in medical services paid by the Church during a similar emotional meltdown. 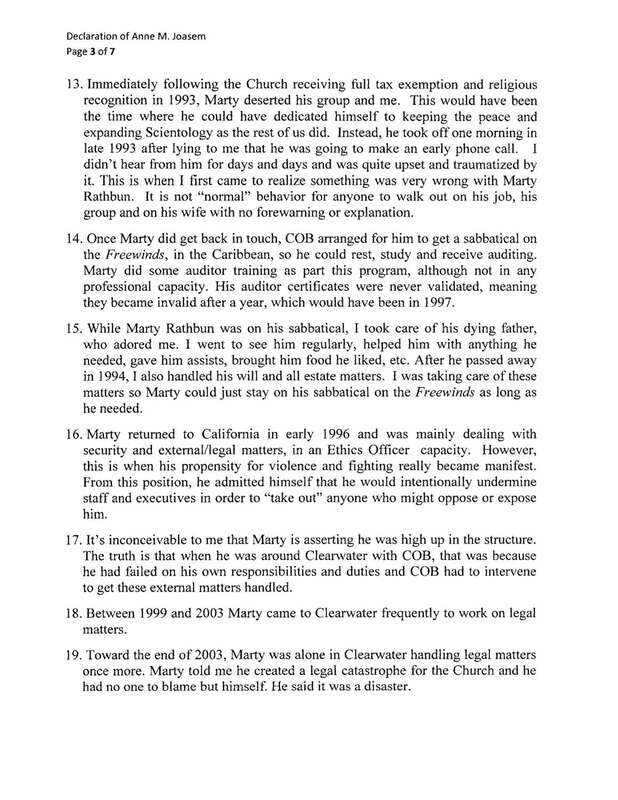 Rathbun exhibits a long history of instability per his own self-published book and reports from his family and friends. His mother was institutionalized more than once and received electroshock treatment while pregnant with Rathbun. She later committed suicide by jumping off the Golden Gate Bridge when Rathbun was 5 years old. Both of Rathbun’s brothers also had bouts with mental illness, one was institutionalized, the other was murdered in a case that remains unsolved. Rathbun’s instability extends to his delusional claims to have been the Church’s “number two” when in reality he was limited to external affairs matters focusing on litigation. Finally, Rathbun’s criticisms of the Church are also motivated by greed, using HBO as a tool. Fronting his wife as the plaintiff in a lawsuit, he is attempting to extract money from the Church. He advises attorneys suing the Church. 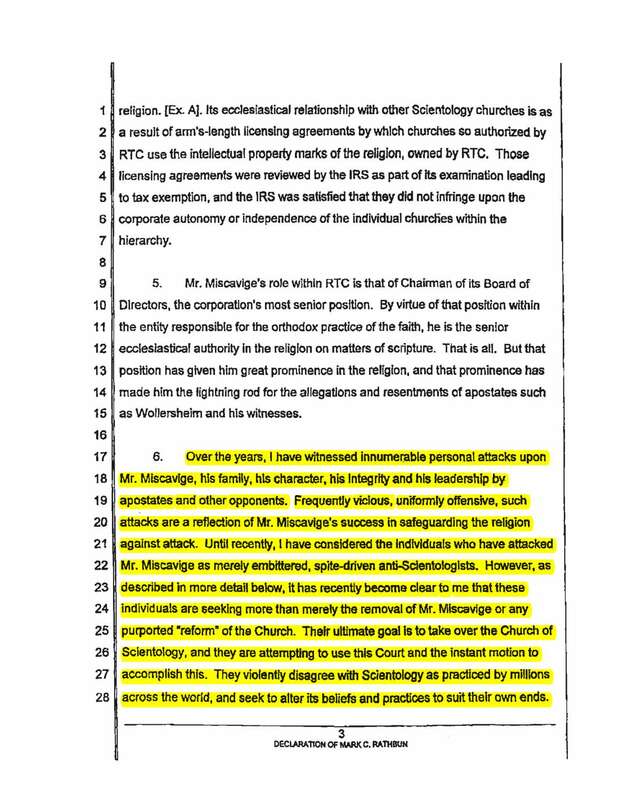 He peddled his own backyard version of Scientology to unsuspecting clients until he failed at that too. Now he openly attacks the religion and all its tenets in whatever way he can to gain income. In short, he is a professional anti-Scientologist. 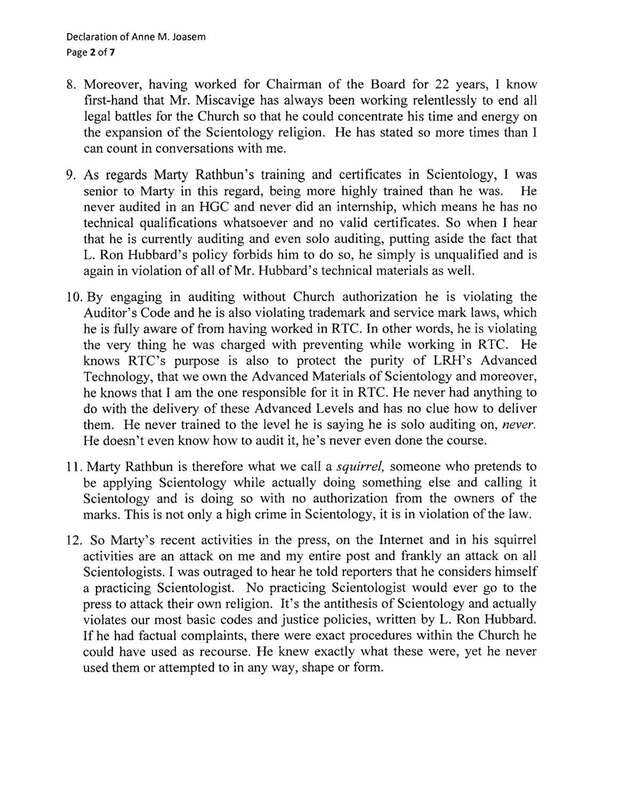 In December 2014, in a desperate attempt to explain why his outrageous anti-Scientology claims are completely contradicted by numerous affidavits he swore to while still in the Church, Rathbun resorted to justifying these contradictions in deposition by the feeble and fallacious excuse that his “mind was controlled” for over two decades while in the Church. While he continues making up countless tales about the Church and excuses for his own behavior, the one story Rathbun won’t tell is the real reason he was removed and disciplined. It began in December 1995, with Rathbun freshly returned from his sabbatical and the Church at peace, when a tragic death occurred. All relevant witnesses were interviewed by the police and, unknown to other Church officials, Rathbun and his cohorts Mike Rinder and Tom DeVocht were involved in coaching witnesses to lie, so initial interviews with law enforcement contained misrepresentations. Equally as serious, the Church was unable to locate certain documents requested by authorities, because they had mysteriously “disappeared.” Rathbun and his cohort Rinder deceived the Church and its leader the whole time to cover up their malfeasance. In addition, innocent individuals were wrongly blamed. But an independent search revealed that Rathbun and Rinder had hidden the missing documents. This resulted in their removal from their positions. All criminal charges were ultimately dropped and the Church was vindicated after the ecclesiastical leader became involved in cleaning up Rathbun’s mess. 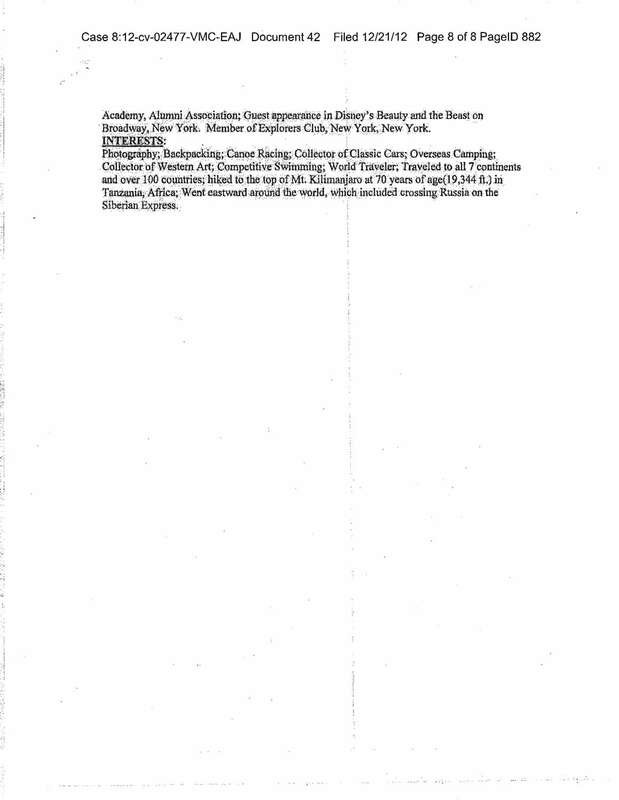 Had Rathbun not lied, suborned perjury, hidden files and destroyed evidence, there would have been no criminal indictment and no civil case for the Church to deal with. 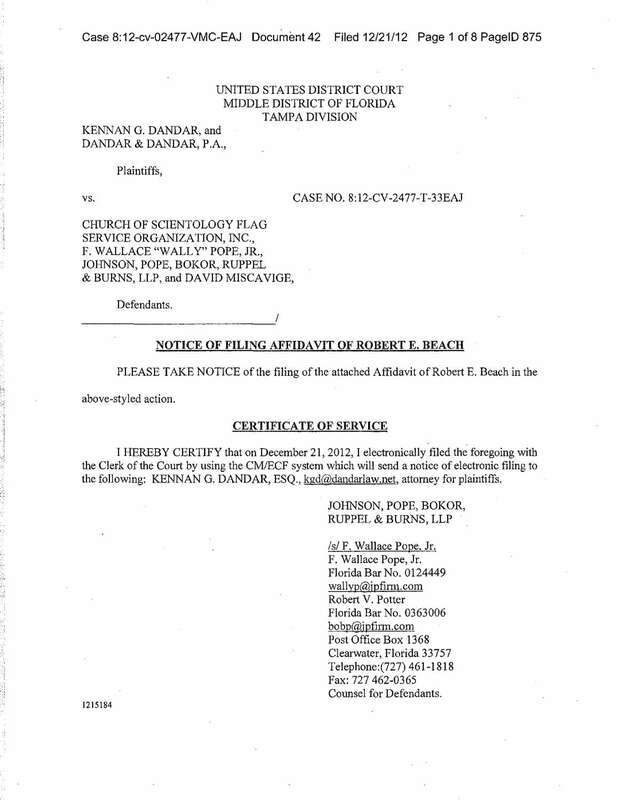 The civil case against the Church was brought by Florida attorney Kennan Dandar, who Rathbun had frequently acknowledged was a dishonest ambulance chaser, and who was punished by courts for misconduct and misrepresentations. Yet today, Rathbun’s deceit against his former religion includes making false statements in support of Dandar, the individual Rathbun once, truthfully, called dishonest. In 2009, Dandar filed a new frivolous claim against the Church to harass the Church leadership and extort a settlement. Dandar’s suit was utterly rejected by the Federal Court on summary judgment as having no merit. The dismissal was fully upheld on appeal. Moreover, the very filing of the lawsuit by Dandar was in violation of previous court rulings prohibiting him from ever suing the Church. 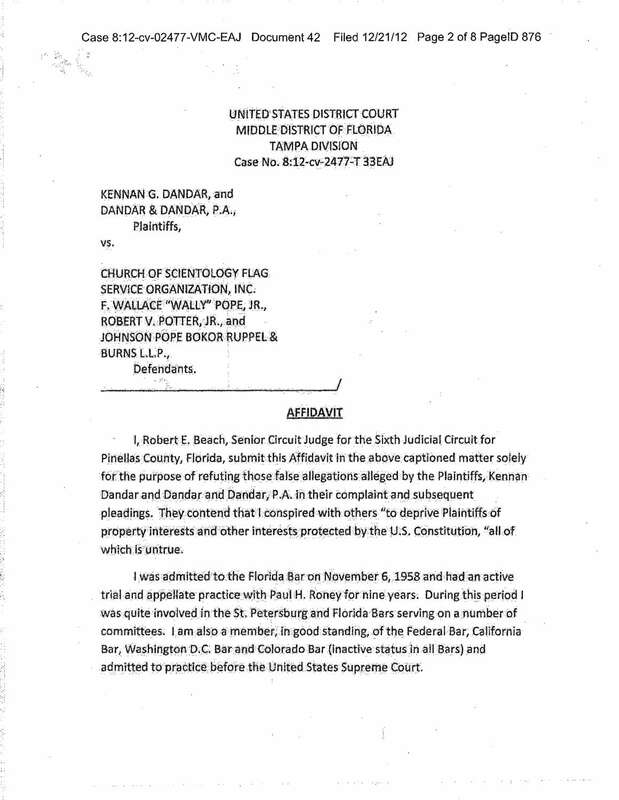 Dandar was sanctioned for his conduct by Judge Robert Beach—Senior Circuit Judge for the Sixth Judicial Circuit for Pinellas County, Florida—who ordered Dandar to withdraw from the case. 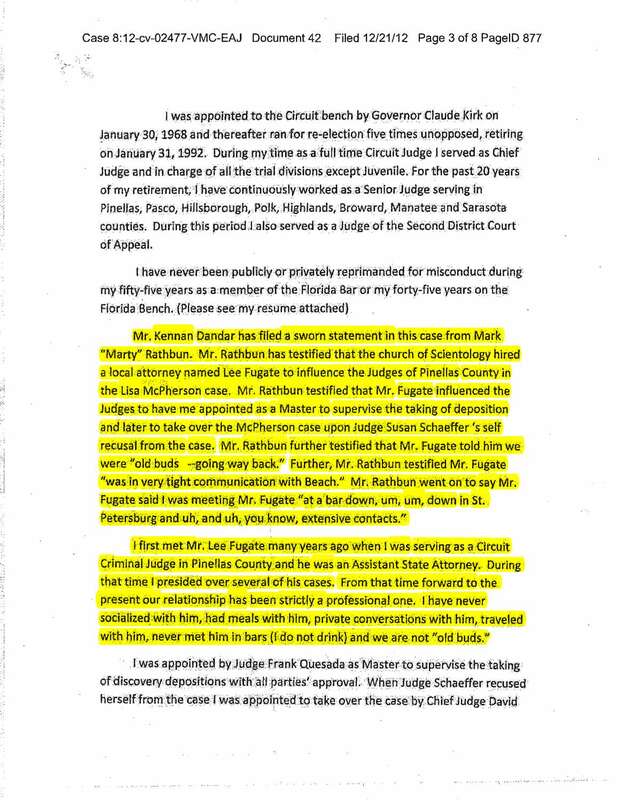 In short, Rathbun’s “testimony” (perjury) was rejected by the Court. 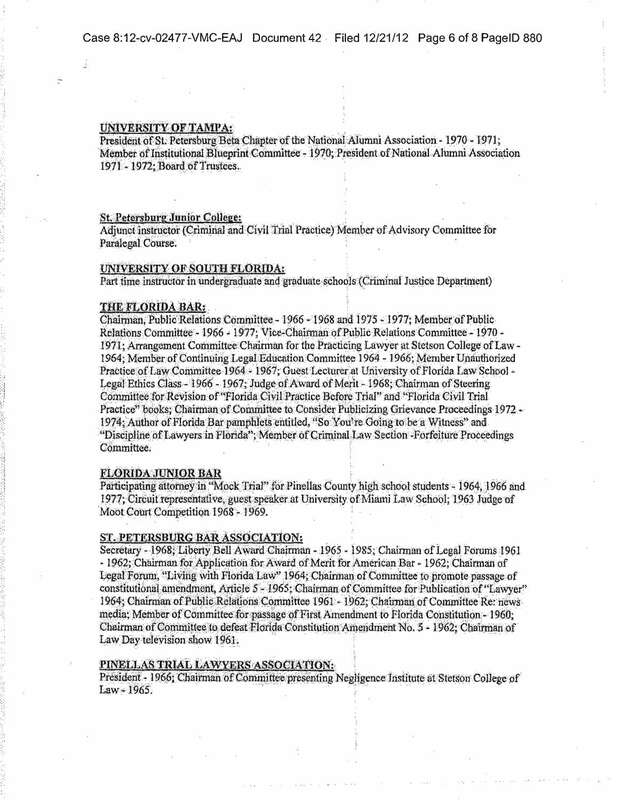 Moreover, Dandar, the unethical attorney Rathbun now supports with perjury, was ordered to pay the Church over one million dollars ($1,068,156.50) in sanctions and attorney’s fees. 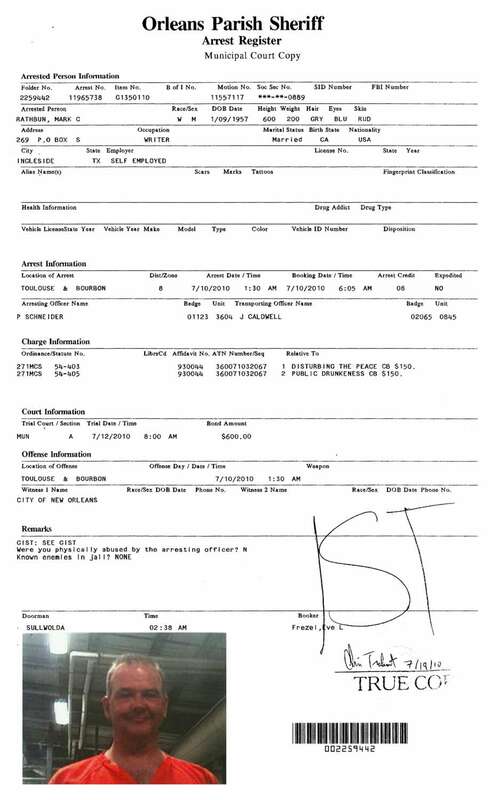 Rathbun is a perjurer. He has already admitted he suborned perjury in the criminal case in 1995. He continues to commit perjury today. Lying to the media, as he is doing in the HBO documentary, is so far below the threshold of dishonesty that the act of doing so (lying to the media) doesn’t even register a blip on his moral radar screen. What’s more, today the core of Rathbun’s self-proclaimed “posse” are Rinder and DeVocht, his two co-conspirators in 1995—the very same people who put the Church and its leader at risk by suborning perjury and obstructing justice—and who were removed for their criminal conduct. These are the “sources” now given a platform by HBO to make up stories (lie) denigrating the Church and its leadership. These men are the equivalent of defrocked priests, having been expelled from the Church for heinous crimes, who now are “complaining” (lying) about the Church and the ecclesiastical leader who removed them. Each and every time on major situations, COB [Chairman of the Board Mr. David Miscavige] has had to intervene to clean up wars I had exacerbated. For example, left to my own devices in handling IRS litigation, the end result would undoubtedly have been no exemption, a billion-dollar tax bill, and possible shutting down of the Church. I have developed a slick false PR technique of positioning myself as having been integral in handling threats during and after the fact, when they are actually terminatedly handled by COB. By calculation I have lost the Church 43 million dollars on losses and expenses that could have been avoided. By perpetuating these operations internally and externally, the worst suppression has been visited upon COB RTC. 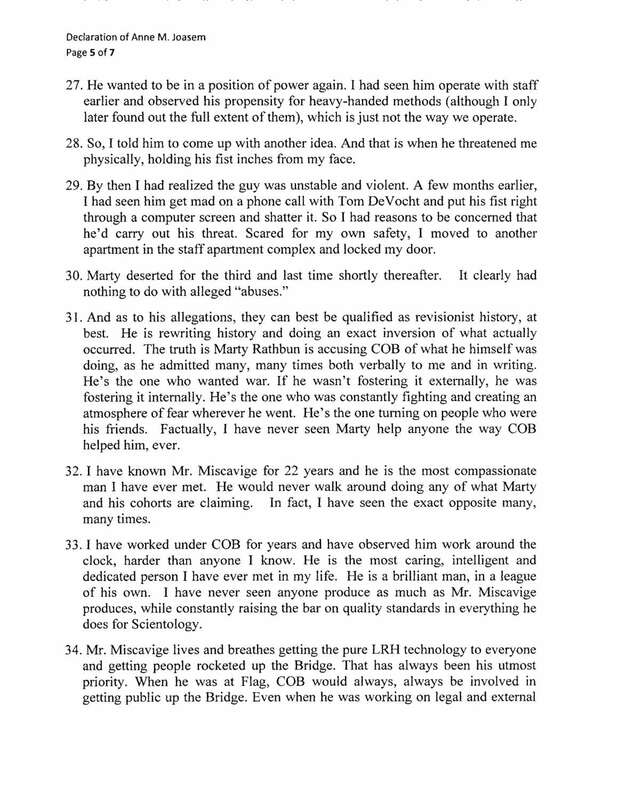 It is the worst suppression because COB RTC is the person who has single-handedly salvaged Scientology from potential external ruin, and single-handedly salvaged Scientology itself by holding the line technically, administratively, and on dissemination. 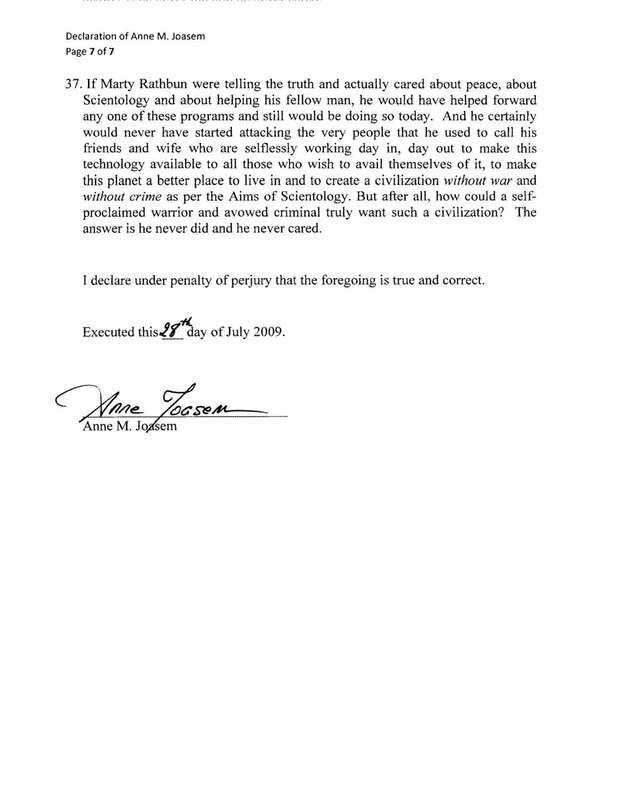 Had he not been here and done what he has, Scientology would have been lost. There is no slightest doubt about that. The cummulative [sic] amount of COB’s time I have cost in terms of dropping balls, creating situations internally and externally, is on the order of eight years. Alex Gibney would know all of this had he bothered to inquire about Rathbun’s credibility. HBO producer Lawrence Wright did know this but showed his bias by ignoring it.